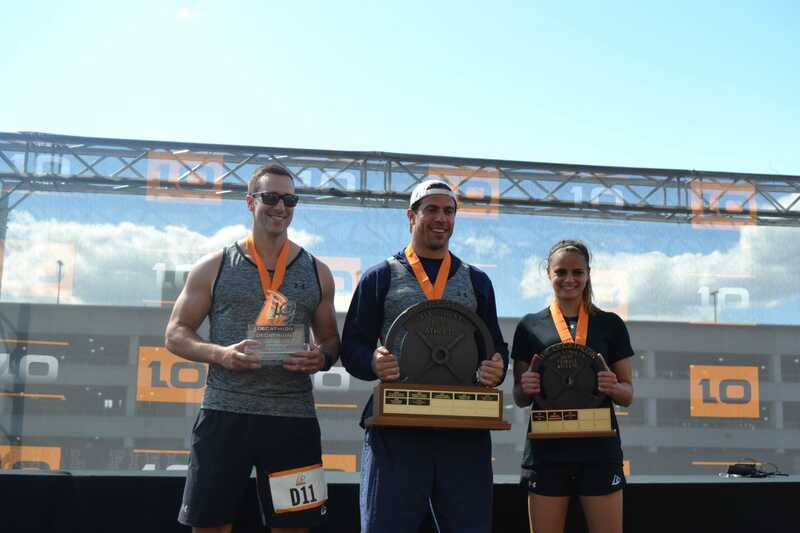 The sun was beating down on Sunday June 12 as traders, analysts and bankers from the financial services industry competed for the crown of “Wall Street’s Best Athlete” at the annual Decathlon. 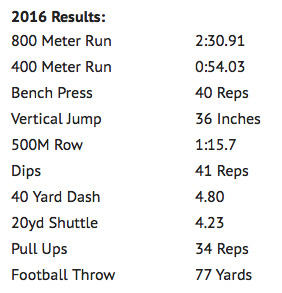 In the span of what ended up lasting eight hours, athletes competed in a 400-meter run, football throw, pull-ups, 40-yard dash, dips, 500-meter row, vertical jump, 20-yard shuttle, bench press, and an 800-meter run. Former NFL player Mark Rubin captured the title for the fifth consecutive year. Rubin, 30, is a vice president at ICAP and previously worked as a VP at Barclays. A former Penn State safety who had a brief stint in the NFL with the St. Louis Rams, Rubin finished the event with the most points overall at 7,738 points. 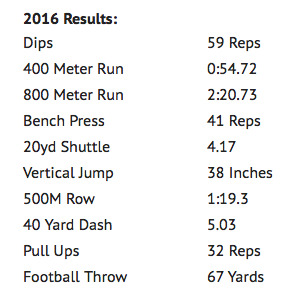 His results were impressive: he managed 59 reps for the dips, 41 reps bench pressing and a 54.72 second 400 meters. He didn’t have it all his own way, though, and he was involved in an incredibly tough fight with former Green Bay Packers player Mike Greco, who came in a close second with 7,736 points – only 2 points behind Rubin. He also came in first in the 500 meter row. Greco, 29, is a former University of Central Florida quarterback who played for the New York Giants and the Green Bay Packers when they won the Super Bowl in 2011. A shattered humerus from a car accident ended his NFL career early, and Greco is a now in sales at KGS Alpha Capital Markets. Greco trained for for months for the decathlon and cut out carbs to reduce his body weight – not easy, he explains, coming from an Italian family. This is his first year competing in Decathlon and he plans to return. Jefferies Associate Randy Giveans, 31, came in third overall and also won the 400m run. The award for the Most Valuable Player went to Michael Bissmeyer, 37, a Director at RBC Capital Markets. He won the award for the highest number of points combined with the most money raised. Bessemeyer raised over $35,000 for cancer research and also placed top in the football throw at 79 yards and the 40 yard dash. Laura Placentra, 24, won the women’s title for the second consecutive year in a row. She also placed top in the football throw, pull ups, 40 yard dash, and 20 yard shuttle. The Citi trader keeps fit throughout the year through a mixture of boxing, pilates and flag football. She told Business Insider she is now looking forward to a trip to the South of France which will include no workouts and a lot of time on the beach. The decathletes are competing for more than just bragging rights, as all proceeds from the Decathlon go to charity. 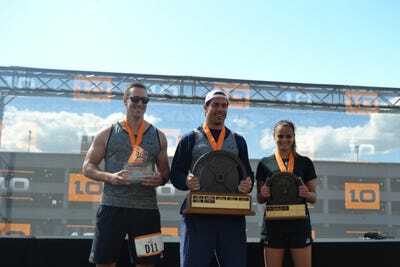 Since the Decathlon started in 2009, the event has raised over $7 million for pediatric cancer research at Memorial Sloane Kettering Cancer Center, an issue near and dear to many of the athlete’s hearts.